The crowdfunding space is heating up fast around the globe in what many are predicting will be a trillion-dollar market. Equity-based crowdfunding is already in progress with investment platforms in Australia, UK, and Netherlands. The United States and Italy are currently in the process of finalizing securities regulations regarding crowdfunding, while governments in a number of other countries including Canada, Sweden, India are being educated from industry associations such as (National Crowdfunding Association of Canada) on ways to move forward within their respective countries. The implications of investors shifting a small percentage of long-term investments to small business via crowdfunding are enormous. In America alone, a 1% shift would mean a $300 billion market for crowdfunding. 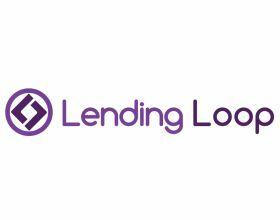 But before equity crowdfunding becomes the latest way to unlock innovation and spur employment, there are a number of considerations that must be standardized across investment platforms. Investor qualification Platforms can qualify investors for accredited status and perform bank verification before permitting them to invest. Due diligence Platforms can perform due diligence on investment projects to be publicly displayed on their system and rate these offerings for completeness before they’re approved. Ratings Platforms can allow investors to search investment opportunities by ratings according to the system or from third-party metric providers such as financial risks or social impact. Valuation services Platforms can publish their own valuations on investment projects being publicly displayed on their system, or on borrowers’ estimates. Secondary trading Platforms can integrate with secondary trading software to facilitate shareholder liquidity. 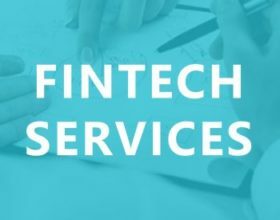 Contract support Platforms can assist with the drafting of investment contracts using legally approved templates and facilitating review services. 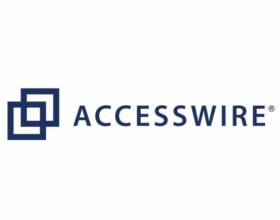 Electronic signatures Platforms can embed electronic signature capabilities compliant for securities contracts. Tax reporting Platforms can report investment income to the appropriate tax authorities. Visit the National Crowdfunding Association of Canada (ncfacanada.org) to learn more about crowdfunding and how social media is impacting the way organizations are raising significant amounts of early stage seed capital and project funding. 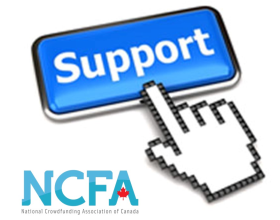 NCFA is a cross-Canada not-profit with a mandate to be inclusive in providing education, awareness and advocacy in the rapidly evolving crowdfunding industry. We are community-based and membership-driven entity that was formed at a grass roots level to fill a national need in the market place. Visit Katipult (www.katipult.com) to learn more about how you can create your own branded crowdfunding platform.